Win the “Trip of a Lifetime” with CHYM FM and find yourself spending 11 nights on an Eastern Mediterranean cruise. Say “ciao” when you land in Rome and see spectacular views of Italy, Greece, and Turkey from the sea. You’ll be treated to Celebrity Cruises’ luxurious accommodations on board the Celebrity Reflection and the cruise line’s cuisine, which they’re known for. One lucky winner will be chosen to set sail during the radio station’s morning show on April 27. 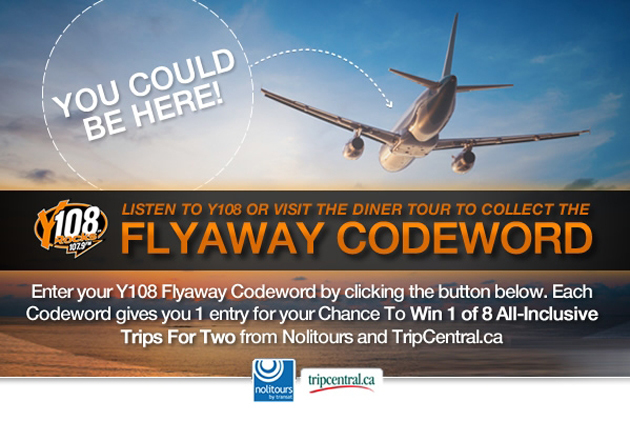 Have your ears on Y108 throughout the day Monday-Friday for a code word, which you can enter online for your chance to win 1 of 8 all-inclusive vacations to Cuba, the Dominican Republic, or Mexico. Miss the codes shared on the radio? The Y108 morning show team will be on the road visiting diners each week (visit their website to find them!). Visit them, enjoy some bacon and eggs, and receive your missed code words. Between now and May 10, listen daily for your chance to qualify and stay tuned to the Friday morning show for winner announcements. 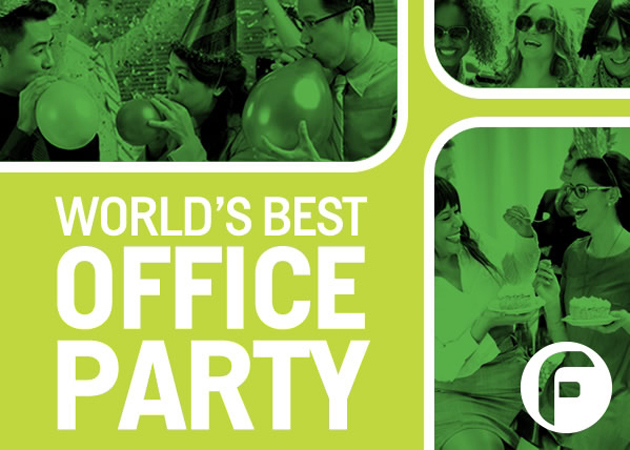 Treat your office to the world’s best office party with FRESHfm! Darrin and Colleen from Fresh Mornings want to know why your office deserves to be celebrated – simply fill out a form and one lucky winner will have an office visit from the morning show, a catered lunch from Grand Olympia, and, a trip for two to an all-inclusive resort. The contest ends April 27 with a chance for a trip to the Barcelo Maya Colonial in the Riviera Maya, Mexico! Get working on that summer tan with a chance to win a trip to 1 of 5 all-inclusive destinations from 105.7 EZ Rock. Listen to the station weekdays at 9 a.m., 2 p.m., and 5 p.m. for your cue to call. Caller #10 through that can correctly identify the song teaser will qualify for the weekly trip giveaway. You have until April 25 for your chance to brush up on your music knowledge and enter this travel contest! 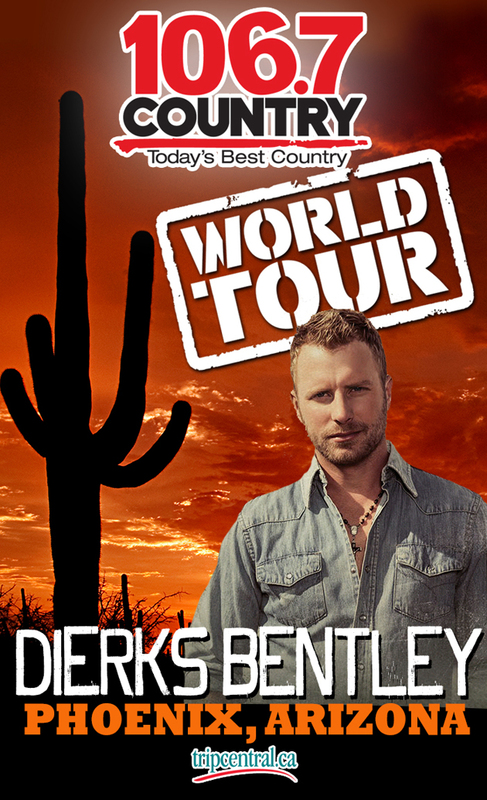 Listen to Kitchener’s best country on Country 106.7 for your chance to call and get on the standby list for a trip to Phoenix this August. 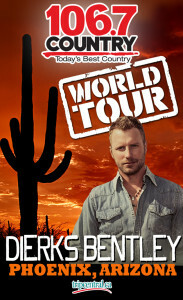 You’ll receive roundtrip airfare, accommodations, and a chance to see Dierks Bentley live. Listen daily at 7:10 a.m., 9:10 a.m., 3:10 p.m., and 5:10 p.m. and be caller #7 to get on the standby list. One qualifier will be chosen on April 24 at 7:45 a.m. to be serenaded under the Arizona sun. Instantly qualify for this travel contest by entering the hourly contest code words (on air between 7 a.m. and 7 p.m. daily) to qualify to win 1 of 4 European vacations. Europe on the bucket list? The more you play, the more chances you win. Budapest or London on your travel list? This is the contest for you, Hamilton! Enter until April 24 to win. Any JACKaholics out there? Login to your JACK account on the JACK fm website and redeem your points for a chance to win. Where will you go? That’s up to you! The Choose Your Own Adventure contest lets you pick between the BeLive Collection Punta Cana and Port Stanley Manor. 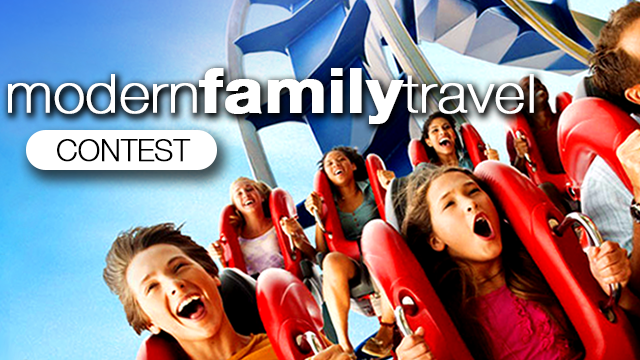 Don’t forget to tune in on May 1 at 8:10 a.m. to listen for your name and chance to claim your trip! Qualify for a “key” and a chance to win a Toys for Boys 16 prize. tripcentral.ca has partnered with Chez 106 to offer a trip to Dallas, Texas, a tour of the Cowboys Stadium, ziplining, a professional sports game, and a trip to a ranch. Enter for your qualifying key with on-site contests, Twitter contests, and more. Do you have what it takes to win this speedy travel contest? The FX 101.9 is wandering the streets of Halifax until April 30, collecting names, and contact details, including your address! 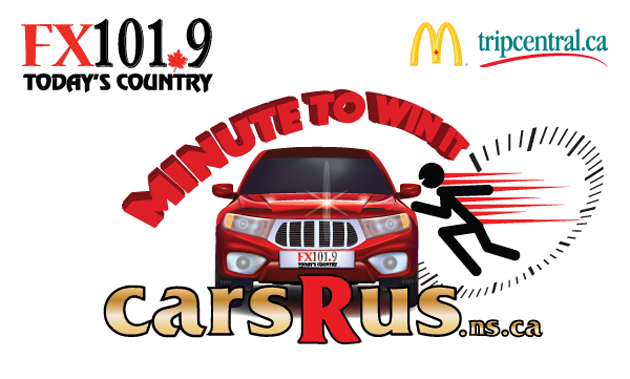 Be listening each week at 7:20 a.m., 8:20 a.m. and 4:20 p.m….if your name is called, it means the Minute to Win It cruiser is outside your house or office! You ONE MINUTE to rush outside and touch the cruiser to be entered for a chance to win a Honda Civic. Too slow? 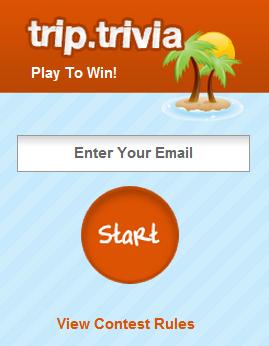 You also have chances to instantly win on air … who knows, tripcentral.ca might send you to a beach somewhere tropical! Can’t tune in to one of these stations? Don’t forget we give away a free trip every week with Trip Trivia!